The pain from kidney stones is hard to ignore. If your doctor recommends a wait-and-see approach, what are some of the natural remedies for kidney stones that might be worth a try? 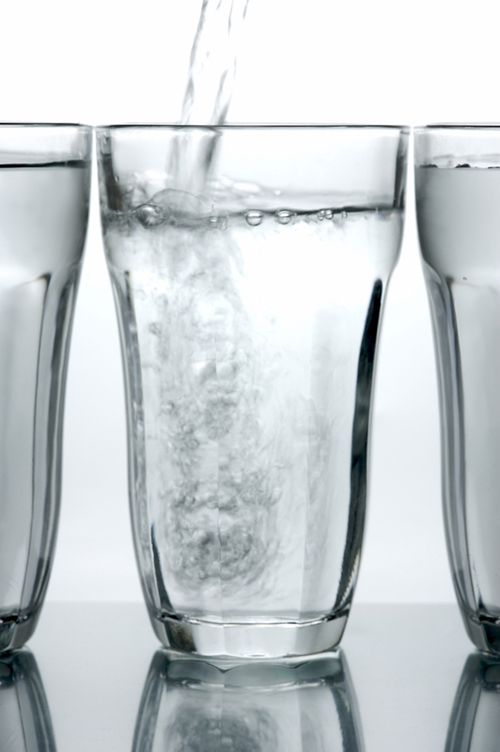 Natural remedies for kidney stones start with—surprise!—water. Drink plenty of it—between eight and 12 glasses a day. Kidney stones or renal calculi are a common and unpleasant condition in which small “stones” develop in the kidneys, causing severe pain as they travel through the ureters—tubes between the kidneys and the bladder. They affect around 1 in 11 adults in the United States. Most stones pass spontaneously but some people require medical or surgical treatment to remove troublesome ones. Others turn to natural remedies for kidney stones before they opt for medical treatment. The medical term for kidney stones is nephrolithiasis. 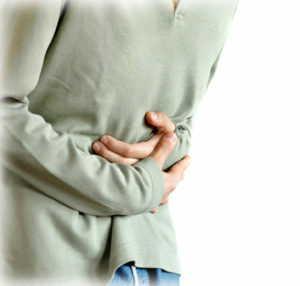 The most common process by which kidney stones are formed is super-saturation of urine. This is when the levels of certain chemicals get so high that they can no longer be dissolved, and the excess forms crystals or calculi. For more significant stones, medical or surgical treatment may be warranted. Some smaller stones can be treated with watchful waiting and simple pain relief with acetaminophen or ibuprofen. For people in the watchful waiting stage and those with a previous history, there is an opportunity to add in some natural remedies for kidney stones. The only “natural remedies” for kidney stones recommended by the American Urological Association are good hydration and dietary change. The AUA recommends to “all stone formers a fluid intake that will achieve a urine volume of at least 2.5 liters daily”—that means eight to 12 glasses of fluid each day. This not only flushes out toxins and avoids crystal formation, but also helps small stones lurking in your kidneys pass. Fluid can be in the form of water, food, and teas. Plain water is best, but if you want some variety, play around until you find a tea you enjoy such as black, green, fruit, or herb teas. If you need a sweet taste, add a little stevia. Keep an eye on your urine; if you are drinking enough it should be a very light, pale yellow. Some beverages should be avoided, among them tomato juice, grapefruit juice, and cranberry juice. Experts also say that “fluids with sugar or corn fructose syrup should be avoided.” And keep in mind that those who drink large quantities of soda—especially sweetened and dark colas—increased their risk of forming kidney stones. Unless you live under a rock, you will know that a plant-based diet rich in fruits and vegetables is good for overall health, and kidney health is no exception. Calcium stones. Increase your intake of vegetables and fruits and limit non-dairy animal protein (meat, fish, poultry, cheese eggs). Also limit sodium and keep your calcium intake in the 1,000- to 1,200-mg-per-day range. Check with your doctor, as limiting calcium intake can have serious side effects. Calcium oxalate stones. Limit oxalate-rich foods, such as spinach, rhubarb, potato chips or fries, chocolate, and nuts. A comprehensive list of foods high in oxalates can be found on the Wake Forest Baptist Health website. Cystine stones. Limit sodium and protein intake, especially from meat sources. Consider also these factors when it comes to natural remedies for kidney stones. Citric acid foods. Research confirms that citric acid juices and fruits like lemon, lime, melon, and orange may prevent stone formation: “Consuming just 4 oz. of lemon juice per day has been shown to significantly increase urine citrate levels without increasing oxalate levels,” according to information posted by the National Institutes of Health. Calcium. Strange as it may seem, a low-calcium diet may actually increase the risk of stone formation. Calcium supplementation, however, does increase the risk of stones, so if you have been advised to take a calcium supplement, opt for calcium citrate, not carbonate. Low-salt diet. Highly processed foods and added salt should be avoided where possible, as high salt levels increase the excretion of calcium via the kidneys and increase the risk of stone formation. Vitamins. Large doses of vitamin C are not good for the kidneys and increase the risk of stones, while vitamin B6 (pyridoxine) reduces the risk. B6 can be taken as a supplement but is also found in bananas, avocados, soybeans, halibut, mangos, and oatmeal. Eicosapentaenoic acid (EPA) fish oils. Ingestion of foods rich in EPA reduces the risk of kidney stones. This is found in oily fish like salmon, fish oil supplements, walnuts, and flax seeds. Coffee, tea, and alcohol. There is evidence that these beverages may have a small impact on reducing your risk. Moderation, as usual, is the key. Lose weight. There is evidence that being overweight or obese or gaining weight increases the risk of kidney stones. You’ve heard it all before, but in order to reach a healthy weight: Exercise regularly and eat a balanced diet, such as the DASH diet. Anecdotal evidence. Look online and you will see a host of claims for natural remedies for kidney stones, but beware! The National Center for Complementary and Integrative Health (NCCIH) does not support the use of the following supplements, and they all have potential side effects, which likely outweigh the potential chance that they may help: Basil juice, apple cider vinegar, pomegranate juice, dandelion root, wheatgrass, and horsetail juice. add, alcohol, apple cider vinegar, balanced diet, calcium, chocolate, coffee, corn, dairy, dash diet, diet, eicosapentaenoic acid, eicosapentaenoic acid epa, exercise, fish oil, fish oil supplements, food, foods high in uric acid, foods that cause kidney stones, foods to avoid, foods to avoid with gout, gout, health, healthy weight, highly processed foods, hydration, infection, integrative, integrative health, kidney stone pain, kidney stone treatment, kidney stones, Lose Weight, low calcium, low salt diet, natural remedies, natural remedies for, natural remedies for kidney stones, nuts, pain, pain relief, plant based diet, pomegranate, processed foods, protein, rhubarb, severe pain, side effects, spinach, stevia, sugar, supplement, supplements, toxins, uric acid, uric acid stones, vegetables, vitamin, vitamin b6, vitamin c, vitamins, walnuts, wheatgrass.